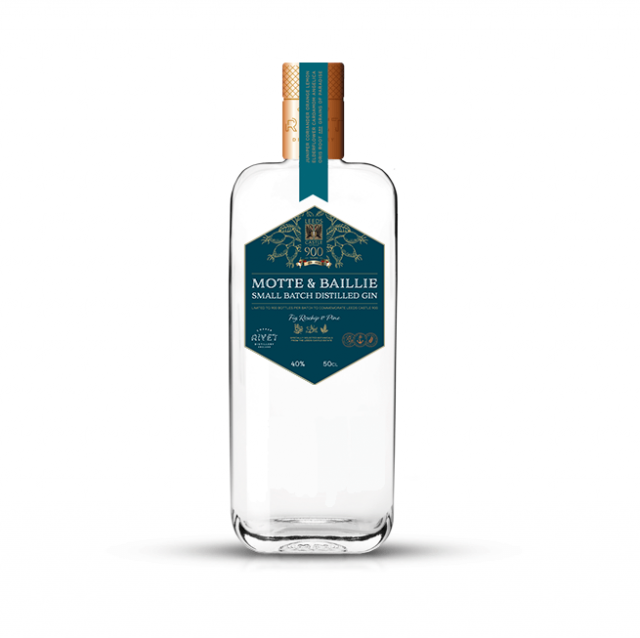 One of the UK’s oldest castles is marking its 900th anniversary with a small batch gin, appropriately named ‘Motte & Baillie’. Just 900 bottles of the gin will go on sale next year to mark the milestone and the spirit has been infused with botanicals from the castle grounds including sweet fig, rosehip and pine. The limited edition gin has been made in partnership with the likewise Kent-based Copper Rivet Distillery. The name of the gin is a play on two aspects of the castle’s history. The first part ‘Motte’, coming from the motte and bailey style of castle which was likely the stronghold’s original form when it was founded by the Norman lord Robert de Crevecouer in 1119. The second part, ‘Baillie’, as well as playing on the motte and bailey idea is actually a reference to Lady Olive Baillie, the last private owner of the castle. Gemma Wright, senior PR for Leeds Castle said: “We are absolutely delighted to be working alongside The Copper Rivet Distillery, who are one of just a few spirit makers in the UK that undertake the complete process of brewing and distilling from grain to glass. “We wanted to create something local and very special for our 900th anniversary and a commemorative gin seemed the perfect product and fit for the Castle. “We hope people will enjoy the flavour we have created and will want to take home their very own piece of history”. Various fortifications have existed on the site of the current Leeds Castle since at least the 9th century AD but the Norman castle was built in 1119, probably in the motte and bailey style and then evolved over the centuries. A favoured residence of various medieval kings and queens (six of the latter including Eleanor of Castile and Catherine of Aragon), the castle today was built in the 19th century and with its large moat/ornamental lake and hundreds of acres of surrounding parkland is often described as “the loveliest castle in the world”. Despite its name, the castle is in the southern county of Kent near Maidstone and has nothing to do with the city of Leeds, 200 miles further north in Yorkshire. The name, it is postulated, is a corruption of ‘Led’ or ‘Ledian’, a man believed to have been a minister at the court of the Anglo-Saxon King Ethelbert and who owned the land and probably built some kind of fortification there. There is also a nearby village called Leeds which is thought to be derived from ‘Esledes’, an Old English word for slope or hill and which, conceivably, could be another reason for the name of the castle.